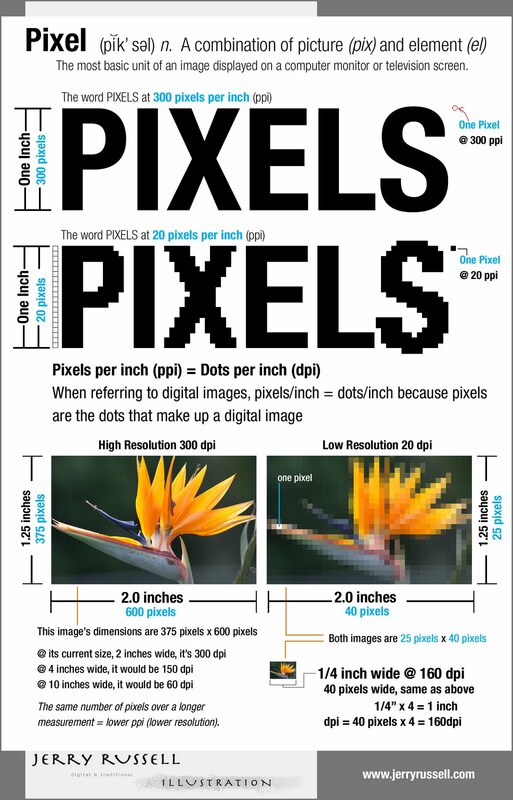 People get confused about pixels, and resolution, and image size and things of that sort when considering digital images. Here’s a little chart that will help explain some of the terms and hopefully demystify the subject. Feel free to share. Just let people know where you got it if you would. Thanks!